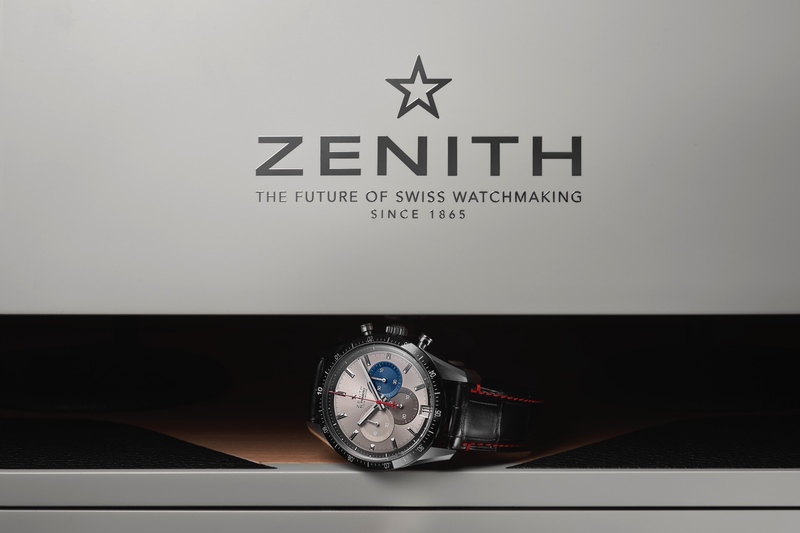 Zenith’s high-frequency El Primero chronograph, with its unique 1/10th of a second chronograph accuracy, celebrates 50 years since being introduced in 1969 this year with a 50-piece limited edition three watch box set. 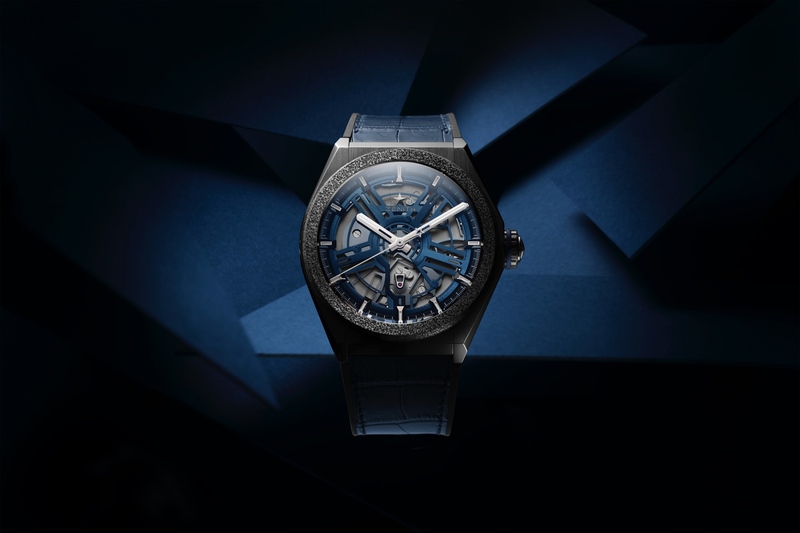 The anniversary boxed set comes with a recreation of the first El Primero from 1969, the Chronomaster 2 El Primero, and the Defy El Primero 21 with a 1/100th of a second chronograph. The original El Primero Ref. A386 remake comes in a 38 mm case, with an El Primero 400 movement, and is a near 1:1 replica of the original 1969 El Primero (far left). The Chronomaster 2 (center), powered by the El Primero 3600 features a 5Hz chronograph with 1/10th of a second accuracy, although it’s the more advanced El Primero Striking Tenth movement which has a central seconds hand that makes a full revolution every 10 seconds, which is both easy to read and cool to watch. This watch comes in a 42 mm steel case with a black ceramic bezel. 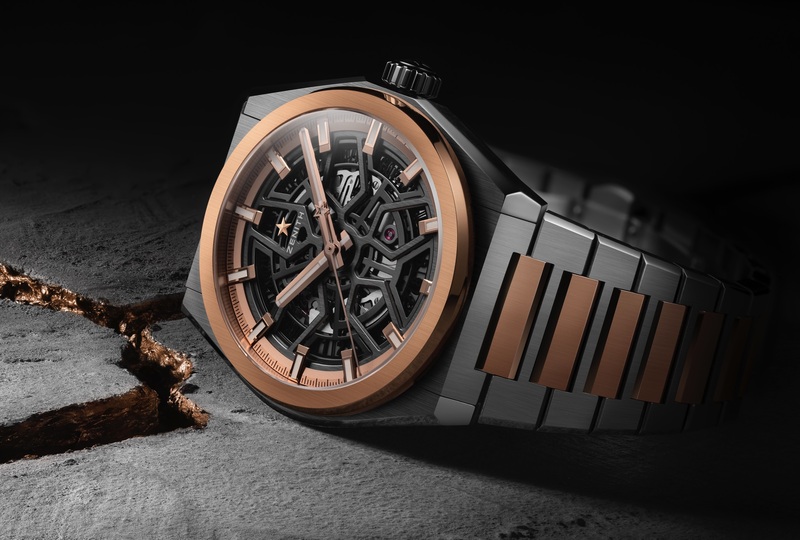 The Defy El Primero 21 (far right), comes in a 44 mm titanium case and is the futuristic model (which we wrote about here) with a caliber 9004 inside with dual escapements, one running at 36,000 beats per hour for the time, and the other running at 360,000 beats per hour for the 1/100th of a second chronograph. 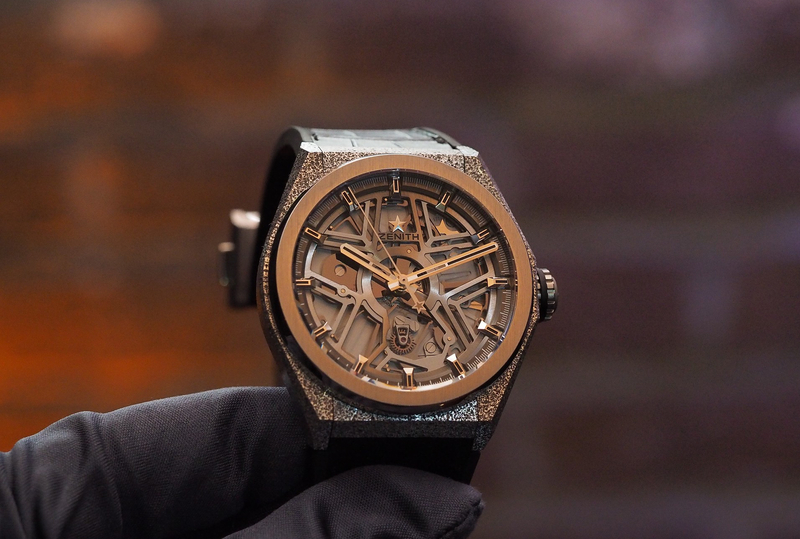 All three watches are presented in a premium wooden box with a built-in light and magnifying glass meant to evoke the feel of watchmaker’s bench. There is an extra space in the drawer below, purposely designed for an upcoming 1/1000th of a second model that is set to debut at a later date (likely at Baselworld 2019 in March). Retail is $50,000 per set. Learn more at Zenith. Next articleStyleIs that a George Daniels on your wrist?